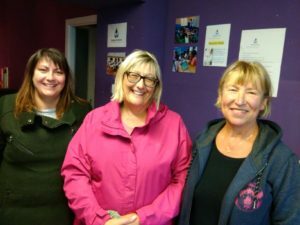 The Busega Scotland pop-up charity shop in Lossiemouth is now open for the next two weeks and in its fourth consecutive year. For the first time, the shop has a specific fundraising focus – to meet the costs of Shida’s ongoing eye treatment. The shop takings will be added into the ‘Shida fund’, and a special appeal is accompanying the sales. We are pleased to report that, as previously, the shop rental costs have been met by a kind donation. This means that all shop profits will go towards Shida’s treatment. Setting-up is always an exciting time and a bit of worry, in seeing if we have enough stock. This year, as in previous years, our supporters have come up trumps and we expect more items will arrive over the two weeks. Our local newspaper, the Northern Scot, published details of the shop, and we thank them for that. Thanks also go to Mel, Chris and Jenny for setting-up and the other volunteers who will serve our many customers to promote the work of Busega Scotland.